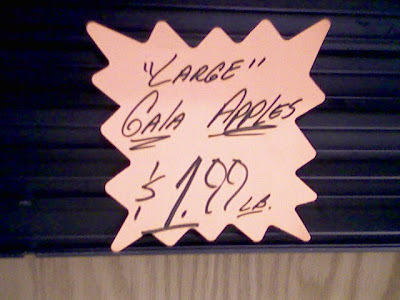 You know how men tend to exaggerate the size of their apples. Thanks, Amanda. I've got a lovely bunch of cocon-- APPLES. If you don't like my "apples," don't shake my "tree." I see this ALL THE TIME at grocery stores... pathetic.